Hillary Clinton is touring a community college and holding a roundtable discussion with students and teachers in Monticello, Iowa, Tuesday. MONTICELLO, Iowa (AP) — Hillary Rodham Clinton began laying out her Democratic presidential campaign message in Iowa on Tuesday, casting herself as a ‘‘champion’’ for struggling Americans and calling for a purging of ‘‘unaccountable money’’ from the campaign finance system. Clinton is facing pressure from the liberal wing of her party to make tackling economic inequality a central theme of her new candidacy. In Iowa, she outlined four tenets of her early campaign: improving the economy, strengthening families, fixing ‘‘dysfunctional government,’’ and protecting national security. ‘‘We’ve got to figure out in our country how to get back on the right track,’’ she said. Clinton said the Supreme Court decision removing campaign-finance obstacles for big-money interests must be addressed even if it takes a constitutional amendment to do so. 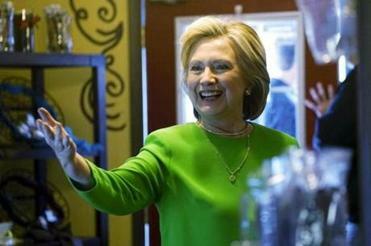 Democratic presidential candidate Hillary Clinton visited a coffeehouse in Iowa Tuesday. Clinton is opening her campaign, announced Sunday, with small events such as the community college meeting and leaving big rallies for later. Fresh from a two-day road trip from New York, Clinton visited a coffee ship in the Mississippi River town of LeClaire in the morning in the first event in her return to presidential politics. Her 2012 debut is reminiscent of the ‘‘listening tour’’ that opened her campaign for a New York Senate seat in 2000, when she ventured into small upstate towns to convene meetings with voters and local leaders. 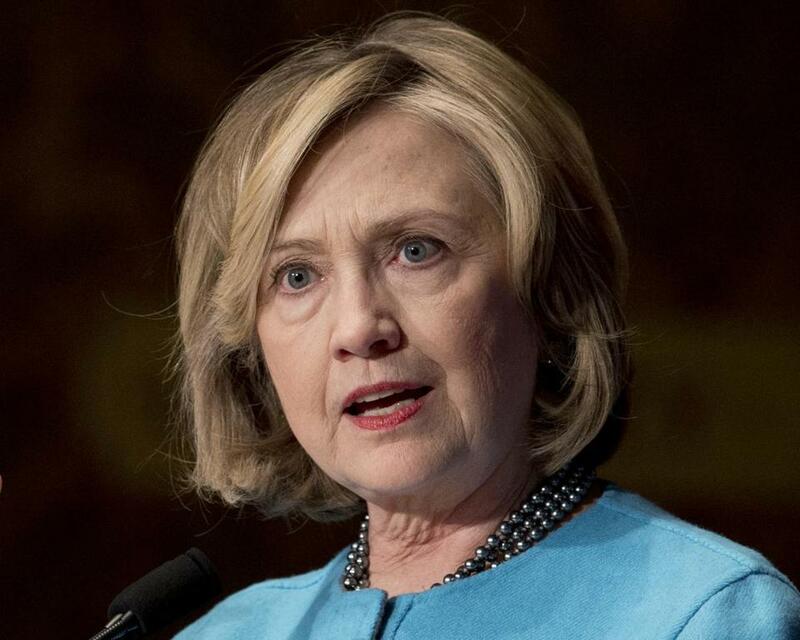 In Iowa, Clinton aims to overcome her disappointing third-place finish in the 2008 caucuses. Her events Tuesday and Wednesday focus heavily on pocketbook economic issues in small-town Iowa, and Clinton was expected to connect with local officials, community leaders and Democratic activists.